Students spread into three groups and started to explore Tokyo. Some go to a shrine, some go to busy street. 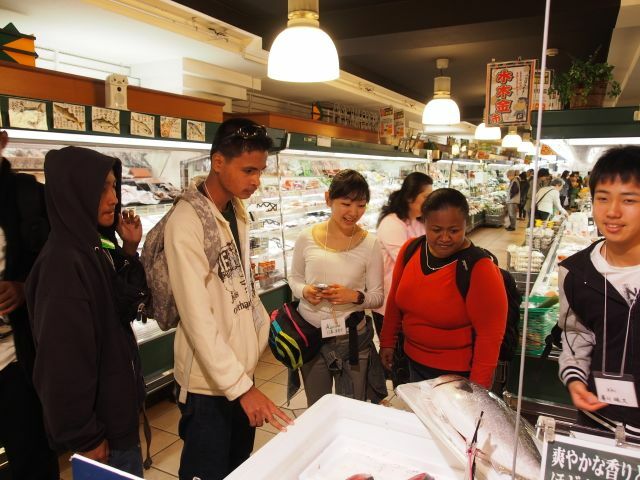 This group enjoys street walk in Kagurazaka area, visiting shops, temples, and a super market.